There are two main types of diabetes. Type 1, which is not preventable, most often appears during childhood and adolescence. People with Type 1 diabetes must take insulin every day to survive. Type 2 diabetes, which is linked to obesity and physical inactivity, accounts for 90%-95% of diabetes cases. Type 2 diabetes can be controlled with medications and lifestyle changes, including losing 5%-7% of a person’s weight, eating healthy foods, and being physically active. How Many People in Greene County Have Diabetes? About 5,000 people have diabetes and that number is about double what is was in the mid-1990s. An alarming trend is the increased number of children and adolescents, especially from minority populations, who have been diagnosed with diabetes. Is It True that Many People Don’t Know They Have Diabetes? Nearly 30% of people who have diabetes have not been diagnosed – as many as 1,500 people in Greene County – because their symptoms may be overlooked or misunderstood; therefore, they are not receiving the recommended medical care that has been proven to prevent diabetes complications. What Should I Do if I Have the Risk Factors or Symptoms for Diabetes? Contact your doctor. After discussing the matter with your doctor, s/he may test you for diabetes. Typically, you’ll need to get your blood sugar tested to find out for sure if you have it. Testing is simple, and results are usually available quickly. Talk to your Greene County Doctor about Getting Tested Today. You’ll need to check your blood sugar regularly. Ask your doctor how often you should check it and what your target blood sugar levels should be. Keeping your blood sugar levels as close to target as possible will help you prevent or delay diabetes-related complications. What's One of the Best Steps I Can Take? Losing weight is often the single best step you can take to control diabetes. Learn more about our 2019 Biggest Loser Weight loss contest. It’s a wake-up call that you’re on the path to diabetes. But it’s not too late to turn things around. If you have it (like 1,500 other people in Greene County), your blood sugar (glucose) level is higher than it should be, but not in the diabetes range. People used to call it “borderline” diabetes. This sneaky health condition has no symptoms so you may have it and not know it. Some people with prediabetes may have some of the symptoms of diabetes or even problems from diabetes already. You usually find out that you have prediabetes when being tested for diabetes. If you have prediabetes, the American Assciation of Diabetes recommends that you be checked for Type 2 diabetes every one to two years. Treating it can prevent more serious health problems later on. 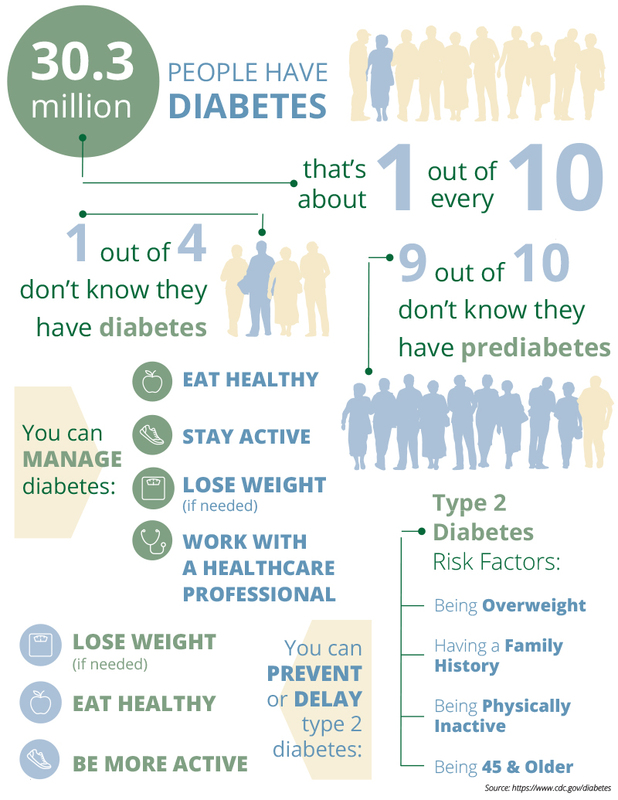 What Should I Do if I Have the Risk Factors for Prediabetes? Contact your doctor. After discussing the matter with your doctor, s/he may test you for prediabetes. Typically, you’ll need to get your blood sugar tested to find out for sure if you have it. Testing is simple, and results are usually available quickly. The Quick-screen does not take the place of your doctor and we always recommend that you consult with him or her for testing and advice. What Do I Do if I Have Prediabets? …What's One of the Best Steps I Can Take? Losing weight is often the single best step you can take to prevent prediabetes from turning into Type 2 diabetes. Learn more about our 2019 Biggest Loser Weight loss contest. Talk to your child’s doctor about being tested for prediabetes or diabetes.